Ok, it's easy to assume everyine can do this, cos if you've been doing it for a while, it is easy. But when I started making my own hammocks, I really battled with some silly things. So here's a tutorials for absolute beginners. The only thing I'm assuming is that you know how to operate your own sewing machine. And with a bit of common sense, you can figure out how to do this by hand. I make all my hammocks by hand for months! I make my hammocks using one layer of cotton and one layer of fleece in the winter. Summer they get 2 layers of cotton. I find that 2 layers of fleece doesn't work - they wreck the hammock trying to get in between the 2 layers. But do whatever works for you and your ratties. 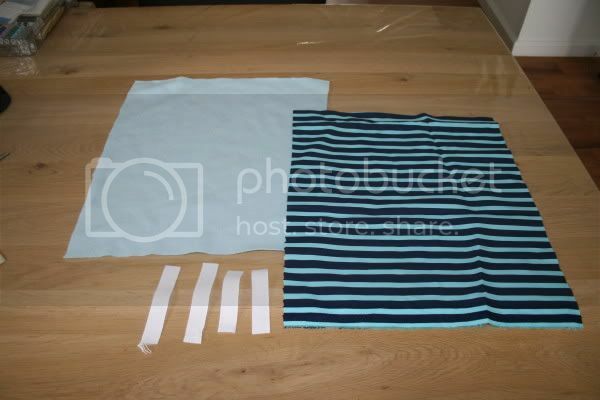 To begin, you need 2 pieces of fabric, cut to the same size. In my case, one cotton, one fleece. You also need 4 small pieces of ribbon/binding/shoelace/something-or-other to make the loops with which you'll hang your hammock up. 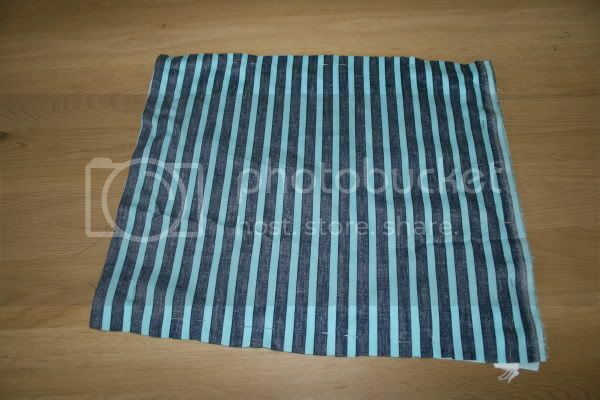 Now, place the 2 pieces of faric on top of one another, with the 'good' side facing inwards. 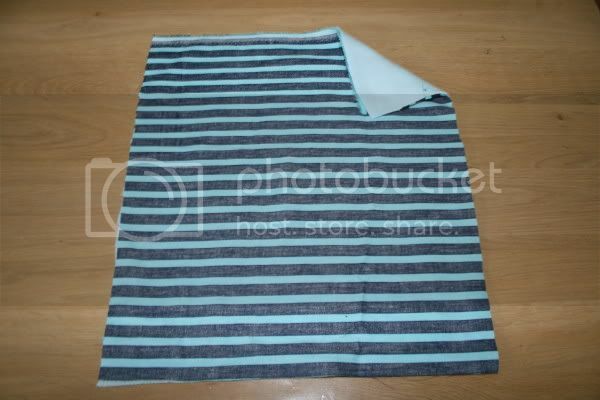 So you can see the back of the fabric. 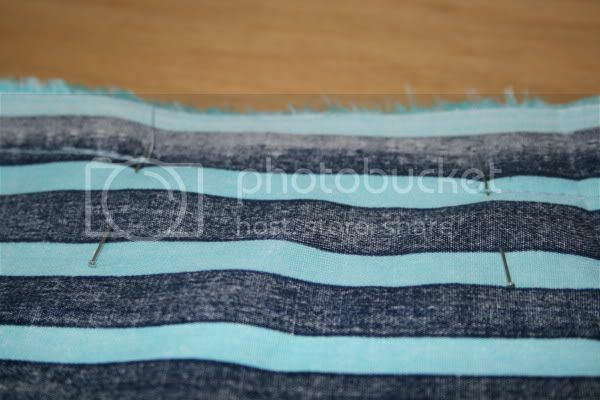 Pin your 4 'loops' into the corners of the fabric, making sure you don't pin them right next to the edge, where you'll sew over them. 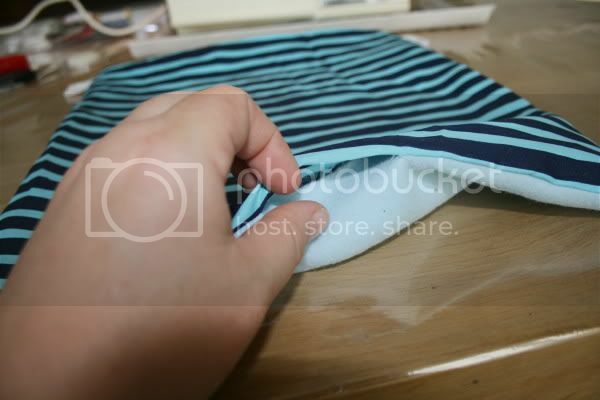 You need to pin them inwards, like this. 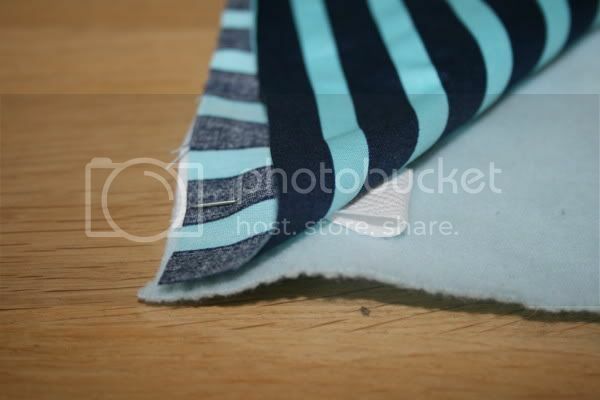 When I was starting out, I also found it handy to pin the edges of the 2 pieces of fabric together, like this. On one side, I put 2 perpendicular pins like this. 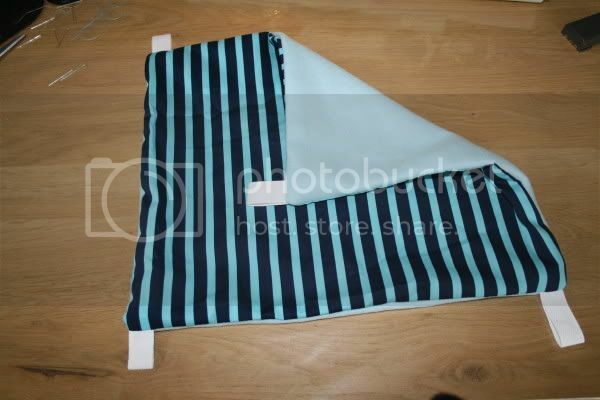 It'll help you know where to start and stop when you start sewing. Put them about 5 - 7cm apart. Now it's time to sew. Start at the frst perpendicular pin, moving in the opposite direction to the second perpendicular pin. Think of those 2 pins as a kind of 'gate' where you're not allowed to sew between them! 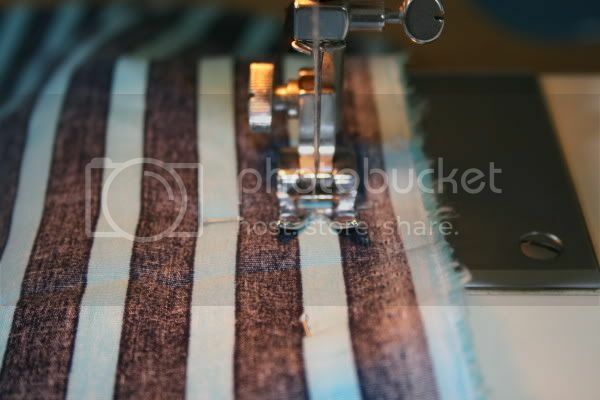 Sew about a centimeter, then reverse over it, and go forwards again. This makes the places where the thread ends a bit strudier, and less likely to come loose at any point. 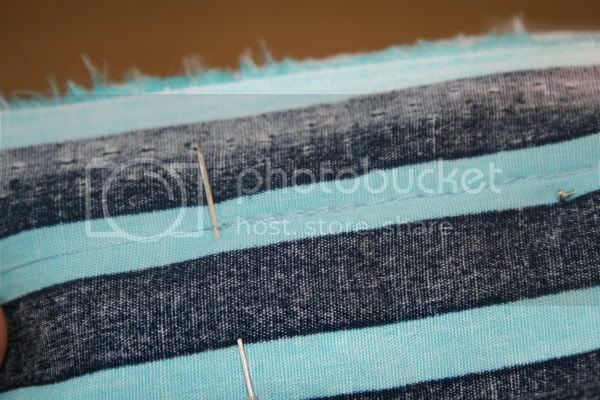 Now keep going, and sew around the piece of fabric, until you get to the other perpendicular pin. It's also a good idea to reverse over the loops, to make them more sturdy. 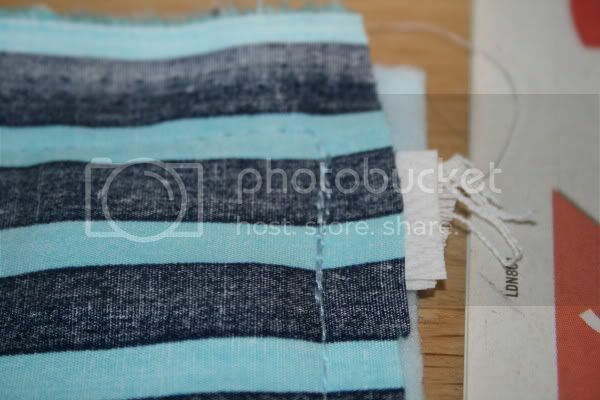 Cut your thread, and you should have something like this (the rest is all sewn up). 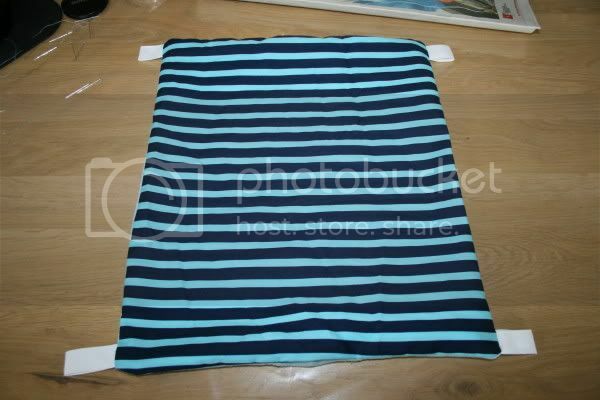 Pull out all the pins, and pull the hammock through the hole in the side, to turn it the right way round. Now you have something like this. But it's still got a hole in it. 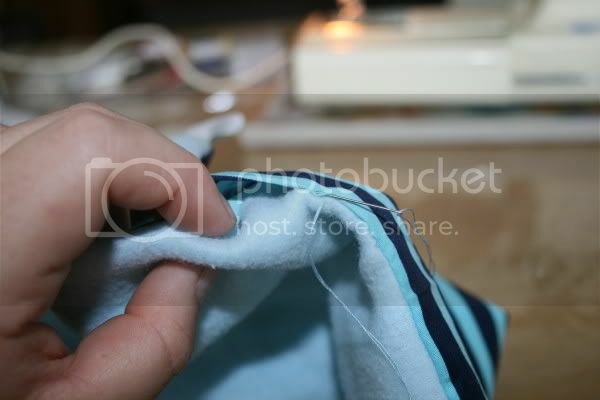 Using slipstitch, hand-sew the hole closed. When that's done, give yourself a pat on the back. You did it! 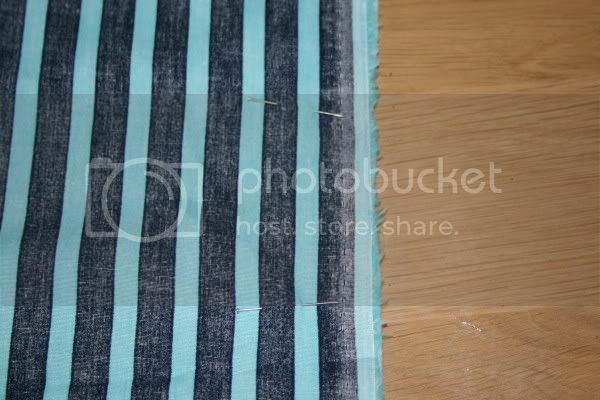 This is a really good tutorial, and now i know how do do a slipstitch thanks to that tutorial link. My rats: Possum, Tasmania, Henna, & Trinity! And lastly my kitties; Neko & Oliver. 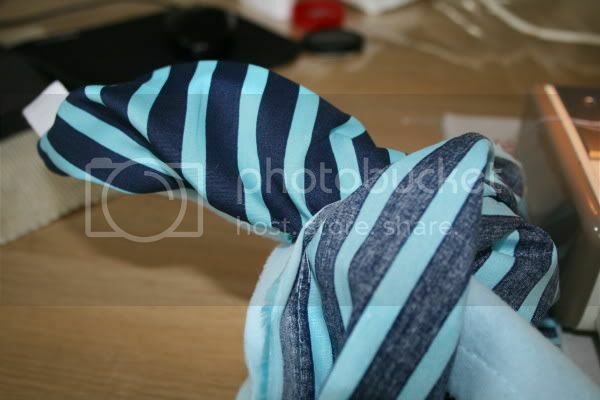 This is a really great tutorial and I just had fun making two hammocks for my imminent ratties! One thing I think would be useful is a rough idea of how big a bit of material should be used - obviously this might be easier to guesstimate if you already have rats or have purchased hammocks elsewhere, but I've been preparing for rats so really didn't have much of an idea of how big the hammocks should be! The first one I made I think is too small, but I guess it can be the 'baby' hammock until they grow up. 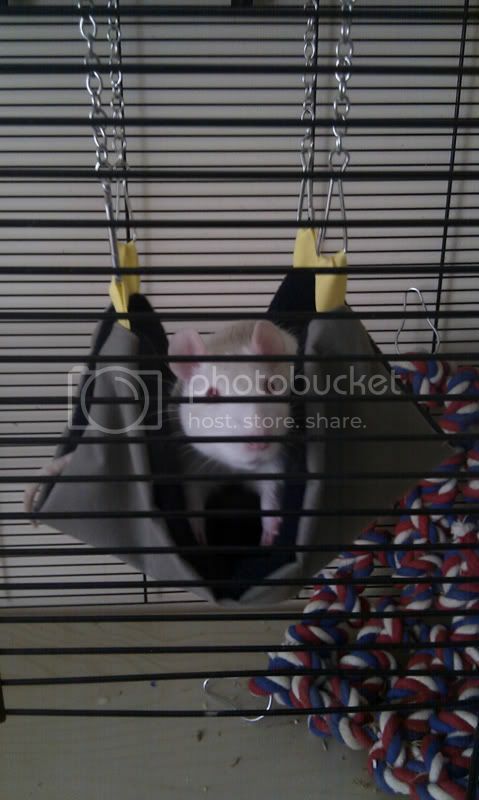 TheBlackDog wrote: This is a really great tutorial and I just had fun making two hammocks for my imminent ratties! Daisy & Molly, our favourite ratties.